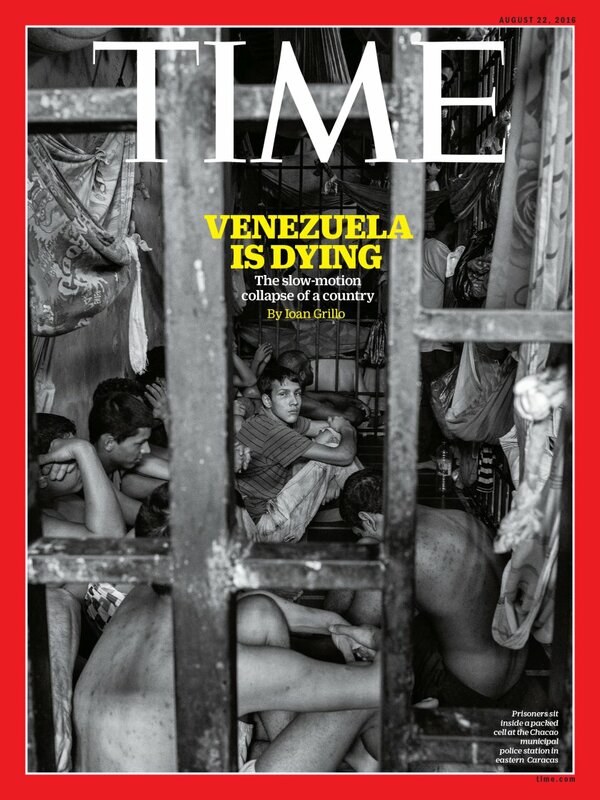 For almost 20 years, the U.S. government has been trying to overthrow Venezuela’s government, and establishment media outlets (state, corporate and some nonprofit) throughout the Americas and Europe have been bending over backwards to help the U.S. do it. 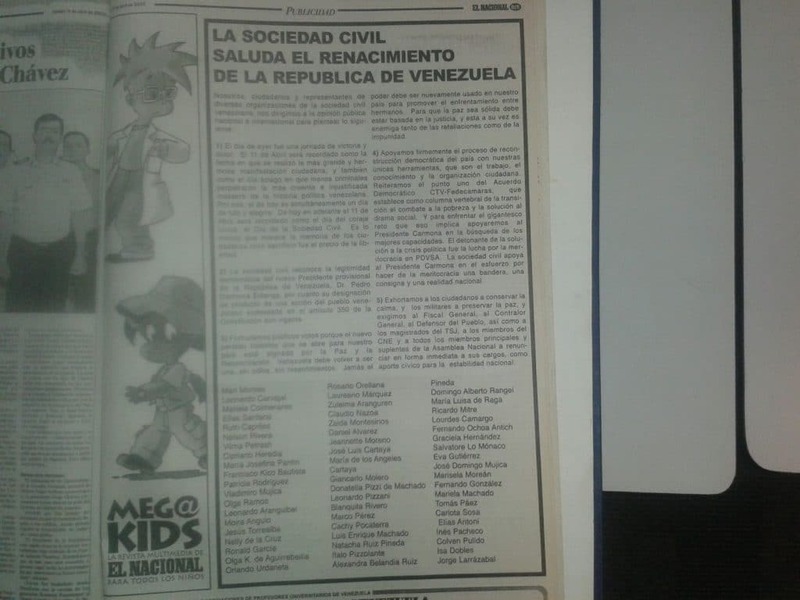 MacLeod’s approach was to assess 501 articles (news reports and opinion pieces) about Venezuela that appeared in the U.S. and UK newspapers during key periods since Hugo Chávez was first elected Venezuelan president in 1998. Chávez died in March 2013, and his vice president, Nicolas Maduro, was elected president a month later. Maduro was just re-elected to a second six-year term on May 20. 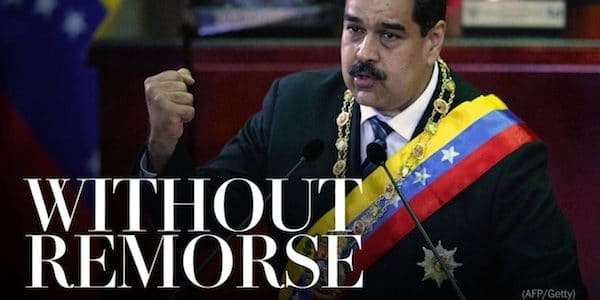 The periods of peak interest in Venezuela that MacLeod examined involved the first election of Chávez in 1998, the US-backed military coup that briefly ousted Chávez in April of 2002, the death of Chávez in 2013 and the violent opposition protests in 2014. MacLeod notes that U.S. government funding to the Venezuelan opposition spiked just before the 2002 coup, and then increased again afterwards. What would happen to a foreign government that conceded (as the U.S. State Department’s Office of the Inspector General did regarding Venezuela) that it funded and trained groups involved with violently ousting the U.S. government? There is a bit of subjectivity involved in classifying articles in a sample like MacLeod’s. 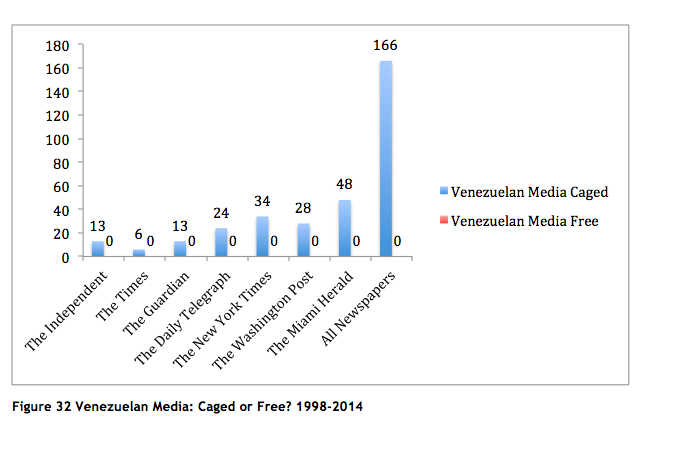 From my own very close reading of the U.S. and UK’s Venezuela coverage over the years, I’m sure one could quibble that a few articles within MacLeod’s sample contradict the “caged” story; perhaps reducing the percentage to 95 percent, but that would hardly assail his conclusion. It is truly stunning that Western journalists can’t be relied on to accurately report the content of Venezuelan newspapers and TV. How hard is it to watch TV and read newspapers, and notice that the government is being constantly blasted by its opponents? No background in economics or any type of esoterica is required to do that much—simply a lack of extreme partisanship and a minimal level of honesty. MacLeod acknowledges that the Carter Center has refuted a few big lies about the Venezuelan government, including the one about government critics being shut out of Venezuela’s media, but he also reminds us that a week after the perpetrators of the 2002 coup thanked Venezuela’s private media for their help installing a dictatorship, Jennifer McCoy (America director for the Carter Center at the time) wrote an op-ed for the New York Times (4/18/02) in which she said that the “Chávez regime” had been “threatening the country’s democratic system of checks and balances and freedom of expression of its citizens.” Venezuelan democracy deserved much better “allies.” The Carter Center may have sparkled at times compared to the rest of the U.S. establishment, but it’s a very filthy establishment.